Can’t make your mind up whether the British summer will hold out enough for a BBQ or your cooking skills are up to the test? 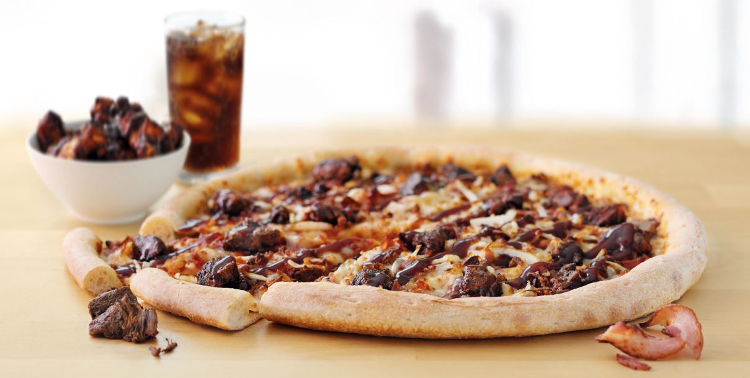 Our new BBQ Beef Brisket Pizza offers you the delicious taste of the BBQ without any of the hassle! Perfect for any BBQ party or night in, the BBQ Beef Brisket Pizza is topped with mouth-watering chunks of succulent slow smoked beef brisket burnt ends. 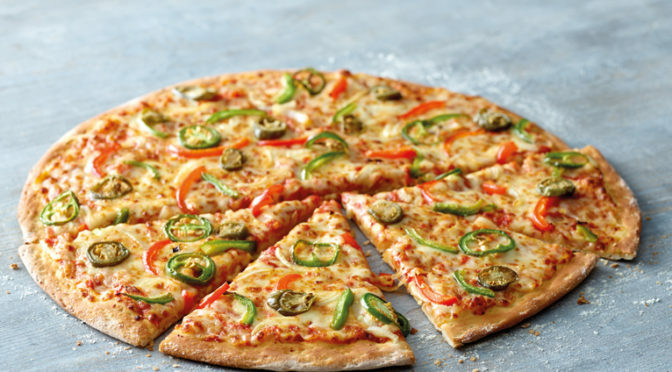 The delicious pizza is complemented with crispy onions and the perfect drizzling of a sweet Cola BBQ sauce to complete the ultimate Summer pizza. A BBQ is one of the most recognisable, delectable smells of the summer, but you can’t always count on the weather. This pizza with chunks of brisket offers the perfect BBQ taste with or without the sunshine. 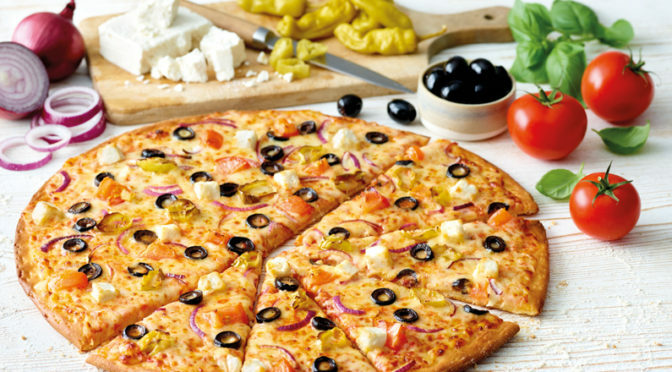 When the weather is perfect for alfresco dining, you can enjoy the pizza out in the garden, or if the rain falls you can eat indoors. 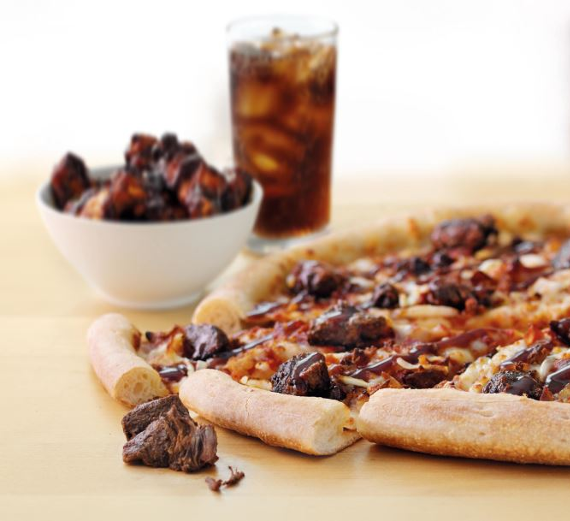 But no matter the weather, with the BBQ Beef Brisket Pizza you’ll always get that ultimate BBQ experience, especially when you add the Sweet BBQ Chicken Wings on the side. We source only the finest beef brisket from only British and Irish farms. The meat is seared and then blended with a mix of nine herbs and spices, including garlic, paprika, oregano, ginger and cumin, before being slow cooked for four hours to get the finest, melt in your mouth pieces of beef you’ll have ever tasted. 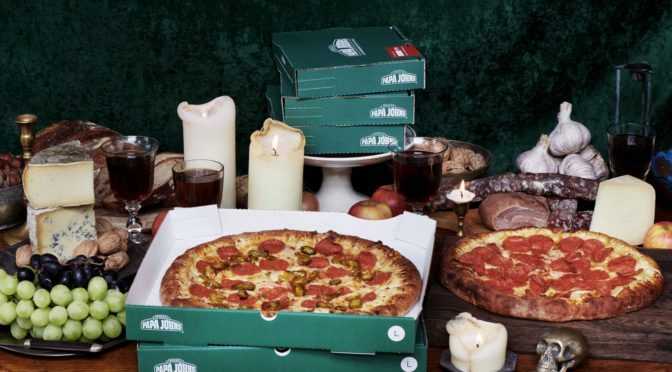 This investment in using premium ingredients is money well-spent as our customers demand the very best quality pizzas that are delivered hot and fresh. So what are you waiting for, order yours and kick start your Summer today.